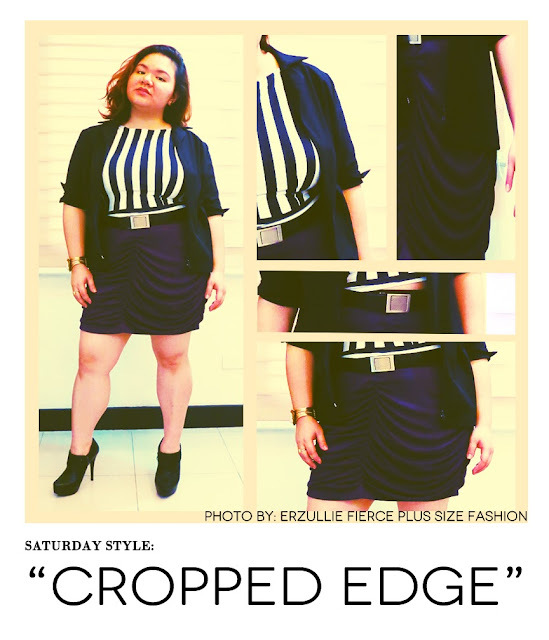 Erzullie Fierce Plus Size Fashion Philippines: PLUS SIZE STYLE: "CROPPED EDGE"
PLUS SIZE STYLE: "CROPPED EDGE"
For the west, the craze for the cropped top may be over, but here in the East, it's just starting. For the Erzulliestas that bought our Pre-Holiday 2013 cropped top, here is another amazing Saturday Style inspiration for you! We created a cropped edgy look for your Saturday Night Parties! Style Tip: Pair prints with solids that have a silhouette detailing. It created a nice and subtle contrast that makes your style more interesting to look at.